Richard is the illegitimate son of Betty Sutton and, probably, Robert Waller. I suggest this because when Richard marries Isabella Allen in 1850 in Dent, it says on his marriage certificate that Robert Waller is his father. 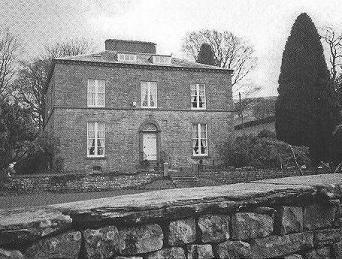 Richard, and his brother Robert who was also illegitimate, was brought up first at Rigg End and then at his grandparents house, West House, which his grandfather had just bought after inheriting a significant amount of money and property from Ann Sill - see Richard Sutton (1782-1851). 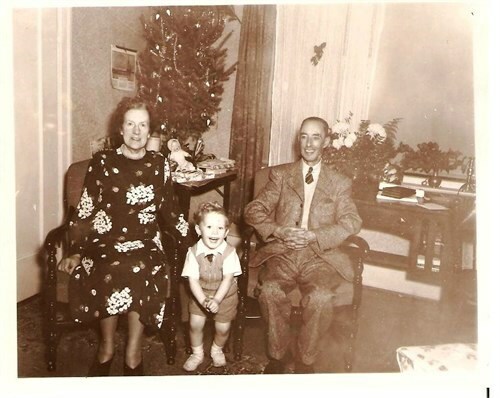 When his mother, Betty, marries Thomas Parker in 1836 and moves in with Thomas to their house called Burtons in Dent (now called Parkers), Richard and Robert are both living with their grandparents at West House, Dent. Richard marries Isabella Allen in Dent in 1850, their daugher Elizabeth is born in Dent in 1850, she was baptised on 11th August 1850 at Cowgill. The family emigrate to Canada (in Richard Sutton's will it says he goes to America). In 1851 (the census was taken in early 1852) Richard, Isabella and Elizabeth are sharing a log cabin with Richard's uncle, William Sutton, in Kincardine, Bruce County. Richard is a miller and farmer. Richard and Elizabeth are Episcopalians. From the 1861 census we learn that they have three more children, Alfred born in 1856; a male child who was born and died in 1860/61 from, it looks like on the census, inflamation; and Edwin James born in 1862. They live in the village of Kincardine in a frame house of one and a half stories. Their religion is now down as English C; Richard is a farmer. Richard, Isabella and their children are in the same place in the 1871 census but by 1881, both Elizabeth and Alfred have left home. Richard and Isabella are both 52 and their son, Edwin James is 19, both are farmers. Richard dies on Christmas Day in 1883 at the age of 54 from stomach cancer. Isabella dies on 8th August 1889, also of stomach cancer. Elizabeth marries Richard Hall in Kincardine on 7th August 1871. Richard was born in England and his parents were Henry and Mary; he is 27 and a school teacher. He is methodist whilst Elizabeth, 21, is down as church of England. In the 1881 census both Richard and Elizabeth are in the methodist church of Canada. I am guessing they are still in Kincardine in 1891 but I cannot find them on the census. However, they are there in 1901 and Richard is still a teacher. They seem to only have one child, Earl (called Ebel or Erl in different census') born in 1888. We know that Richard had died some time between 1901 and 1911 as Elizabeth is a widow in the 1911 census; her son, Earl, is a clerk. In 1921 Elizabeth and her son, Earl, are living in Victoria Street, Kincardine. Elizabeth owns the house which has eight rooms. Earl is an office manager. Elizabeth dies on 14th January 1931 of a cerebral haemorrhage, she was still living in Victoria Street, Kincardine. I don't know what happened to Earl. Alfred is born in Kincardine in 1856. He is at home with his parents in 1871, when he is 13 years old. But some time, perhaps when he is around 18, he moves to British Columbia. We know from The Colonist, 7th July 1880, that Alfred marries Margaret Alexander on 29 June 1880 in Victoria. Margaret was born in Australia but her parents were Scottish. She is the second daughter of David Alexander, Old Bank Farm. The story of Margaret and her mother is told in Memories Never Lost: Stories of the Pioneer Women of the Cowichan Valley and a Brief History of the Valley, 1850-1920, Pioneer Researchers, 1986, which is where the above photograph came from. In fact, Margaret's mother, Margaret Alexander nee Bryce, is the first story told in the book. 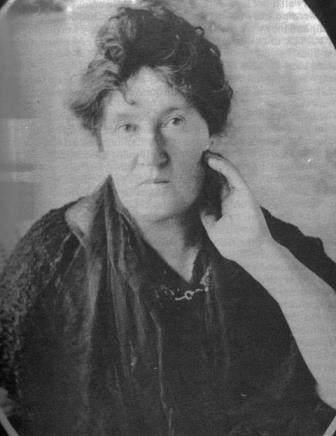 She and her husband, David Alexander, first moved to Australia where David joined the band of pioneers searching for gold. However, after two fires had broken out in the camps (it seems they were notorious for fires) they decided to move to Canada. They boarded The Seaman's Bridge which took six months to get to Esquimalt. The family stayed in Victoria whilst David built a small log cabin and pre-empted 200 acres of land on each side of Somenos Creek. For more information see Cowichan Valley Museum and Archives. In 1881 Alfred, who is a carpenter, is living with Margaret and his cousin William John Sutton in Cowichan and Salt Spring Island, Vancouver. Actually, Alfred and William John are not strictly cousins: William John's father was the brother of Alfred's grandmother. William John owns a sawmill. Alfred and Margaret have three children: Alfred Allen, born 1881; Agate Maud in 1883; and Richard Brice, born 1884 and died the same year. Chapter Three: Pioneer logging, Kaatza-The Chronicles of Cowichan Lake, John Saywell, 1967, talks about the Suttons (William senior, William John, James Edward and their cousin Alfred). He tells us that Alfred's wife, Margaret Alexander, was, for some time, the only white woman at Genoa Bay and was probably the first white woman to go up to Cowichan Lake. We know for sure that her daughter Agate Maud was the first white child born at Genoa Bay. He is buried at St. Peter's Anglican, Quamichan, Duncan Cemetery, Vancouver Island Region, British Columbia. The wording is as follows: "But let our hearts in every woe Still say thy will be done." I am able to show this thanks to Canadian Headstones. Yesterday afternoon whilst hunting, Alfred Sutton was accidentally shot dead by Dan Mahoney in a mistake for a deer. Neither party knew the other was out, and Mahoney seeing Sutton moving in the bush, and thinking he was a deer, raised his gun and fired. The ball went through Sutton's heart, killing him instantly. He leaves a wife and 2 children and many friends to mourn his loss. He was a cousin to W J Sutton, the mill owner, and for many years has occupied the position of foreman in the mill. He came to British Columbia from Bruce Co, Ontario. His uncle is sheriff of that county. Coroner's inquest - accidental death. I don't know about you but this sounds suspicious to me! Young Dan [Mahoney] had gone hunting with his shiny new Henry repeating rifle and when he saw something brown moving in the bush he let fly. 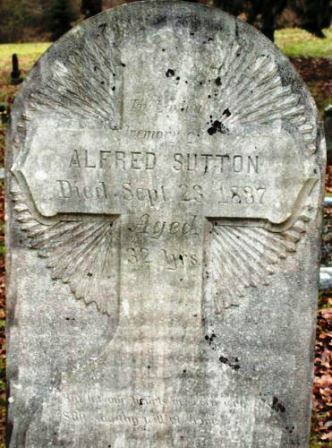 But instead of a deer, he found friend and neighbour Alfred Sutton, dead. Each man had thought he had the mountain to himself. Dan couldn't overcome his grief and guilt at killing Sutton, even though everyone, Alfred's family included, accepted it as a tragic accident. Depressed, Dan withdrew into himself and soon followed Alfred to the grave. In the 1891 census, Margaret and her two children, Alfred Allen 9 and Agate 8, are living with Margaret's parents David and Margaret Alexander (72 and 62) as well as Margaret's siblings, James 32 and Elizabeth 29 in Cowichan North district. The following census has Margaret living with her son Alfred A 19 who is a carpenter and daughter Margaret 18 (I assume this is Agate Maud). 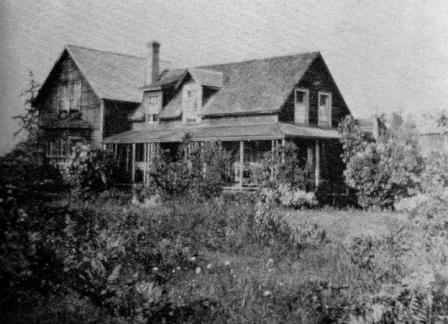 At 68 in 1921 Margaret is living with her daughter Agate and her husband and family in Duncan. We learn from The Colonist, that Margaret dies on 12th January 1922, leaving behind her daughter, Mrs F.G. Smithson and son, Allen. Alfred Allen dies on 28th February 1948 at Shawnigan Lake, British Columbia. I'm afraid I don't know anything more about him. Frank is an accountant. Agate and Frank have two girls, Mary (Mollie) born in 1913 in British Columbia and Daphne born in 1917 also in British Columbia. The family go on a trip back to England in 1922 (June to August) to visit Frank's mother, Mrs A.P. Smithson who lives at 10 Grange View, Chapeltown, Leeds, and again in 1947. Agate Maud dies on 13th November 1953 followed by husband, Frank Gerald in 1959. Edwin James marries Sarah Jane Rea in Ops, Victoria, Ontario, on 8th September 1886. Edwin James was a cabinet maker. After a trip from Brant County Archive have discovered that Edwin James was Reeve of Kincardine in 1893 (thanks to Martin Vandenberk for discovering this). Edwin James died on 6th February 1914 at the age of 51 years in Vernon, British Columbia.